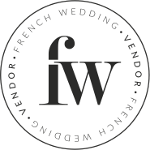 The region of Provence Alpes Cote d'Azur has every backdrop that you can want for your destination weddings in Provence; from snow-capped mountains to stunning coastline. With over 300 days of sunshine every year, the South of France region can offer your wedding guests a picturesque holiday destination following your wedding celebrations. The region has six departments: Hautes Alpes, Alpes de Haute Provence, Alpes Maritime, Var, Vaucluse and Bouches du Rhone.